The former leader of America, George Bush junior, sowed new chaos in Iraq and maintained the legacy of old chaos in Afghanistan built on the misdeeds of several leaders of America. This was followed by the schizophrenic foreign policy approach by President Barack Obama who opened up new cans of worms in Afghanistan and Iraq. Not content with this, the Obama administration also involved itself with new chaos in Libya and Syria but was foiled in its Muslim Brotherhood designs in Egypt. Therefore, not surprisingly the Taliban – and elements within ISIS (Islamic State – IS) – see fresh hope in Afghanistan based on American aloofness and abandonment of responsibility based on the “chaos theory” approach of the Obama administration. In a recent military offensive by the armed forces of Afghanistan it became clear immediately that international jihadists from Chechnya and Turkey had been killed. This isn’t surprising because Turkey under President Erdogan is involved in Sunni Islamist destabilization policies in Libya and Syria. At the same time, Chechens in the Caucasus region have close relations with Turkey therefore they freely enter NATO Turkey on their way to committing atrocities in Syria. Afghanistan should take note of the allies of America. After all, the nations of Pakistan, Qatar, Turkey, and Saudi Arabia, all have their Islamist jihadist tentacles in nations like Iraq, Syria and of course in Afghanistan. Despite this reality, the “chaos theory” approach befits the Obama administration fully because it is difficult to know who is friend or foe under his leadership. Indeed, it is mysterious to know what the Obama administration hopes for because the only outcome is that ISIS and various al-Qaeda affiliates are growing internationally and these footsteps can now be felt in Europe. This growth is clearly based on the policies of Washington and the usual Gulf monarchies alongside Erdogan’s Turkey. Also, the nation of France is also involved in very estranged policies because the terrorist tap is turned on and off depending on each individual situation. 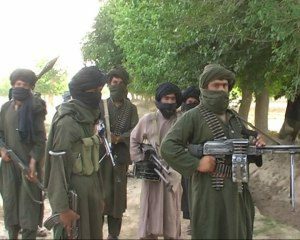 In Kunduz it is clear that new developments are taking place and according to several reports it also seems that the Taliban and ISIS are making new Takfiri bedfellows. Of course, ISIS can be blown up out of all proportion outside its firm strongholds in parts of Iraq and Syria – and growing menace in Libya. However, recent developments in Afghanistan and Yemen respectively do appear to show a growing trickle of ISIS penetration. The military offensive by the Taliban and elements within ISIS against Kunduz in northeastern Afghanistan also bodes ill for Tajikistan. It is known that tens of thousands of people are fleeing the new fighting and one can only imagine the psychological fear factor if ISIS is indeed making inroads. It is known that clashes have erupted between the Taliban and ISIS in southern parts of Afghanistan but clearly developments are different in northeastern areas of the country. This development is being noted by the elites based in Kabul and clearly regional nations like Tajikistan will be getting worried. However, the response of America can only be guessed at because despite Pakistan destabilizing Afghanistan for decades it is clear that past leaders in Washington still maintained strong ties with Pakistan. Given the nature of the Obama administration, then the response will be confused at best but at worse it will be cynical just like America’s policy towards Iraq, Libya and Syria. Afghanistan, just like the armed forces of Iraq, lack serious air power and apparently the helicopters of the armed forces of this nation also lack high tech armaments. It is clear that Kunduz is a prize worth fighting for because the central government and Islamists know that approximately half of all the rice crop of this nation is produced in this part of Afghanistan. Now with America on the fringes and with NATO abiding by its pullout decision then clearly the Afghan armed forces and regional police are largely being left to defend for themselves. It remains to be seen how they will take the fight to the Taliban and growing menace of ISIS. However, hopefully it will be with greater determination than the armed forces of Iraq that was built up largely by America. After all, Iraq now relies heavily on various Shia militias and the valued support of Iran. If Western nations are serious about tackling international terrorism then clearly something must be done about NATO Turkey and the jihadist footprints of Chechens and other Islamists from the Caucasus region. Of course, international jihadists stem from many nations but the role of Chechens and Turks is a growing reality. The same also applies to the terrorist misdeeds of Turkey being an open conduit for terrorists and armaments alike. Of course, for Erdogan he is especially focused on destabilizing Syria at all costs and likewise the involvement of Turkey in Libya is another major problem. The Obama administration doesn’t just sit back while Rome burns because Washington is also involved in divide and rule polices. On top of this, the chaos theory of mutual destruction and gradual weakening of entities deemed hostile appears to be in vogue. At the same time, it is clear that Obama isn’t Bismark because he can’t maintain a policy of relying on certain forces in one nation, while opposing the same forces in another nation. Equally alarming, the death rate and tentacles of al-Qaeda affiliates and ISIS in various nations is clearly growing alongside the religious cleansing of several religious minorities. Afghanistan is now witnessing a new combined force of Takfiri jihadists but without serious air power – and in the knowledge of the harsh terrain and intrigues of Pakistan – then fears are growing in certain circles in Kabul. Of course, the fear is understandable in Afghanistan, especially when viewing the destabilization policies of America and fellow allies of Washington that openly feed sectarian Takfiris. Only time will tell if the Taliban and ISIS are prodding or embarking on a new power base in order to utilize against the government of this nation. Similarly, regional nations like Tajikistan and Uzbekistan are growing anxious. Therefore, the ISIS and Taliban military push in Kunduz will say much about the upcoming situation in Afghanistan and provide regional nations with further evidence. However, the one nation that is difficult to read is how America will – or will not – respond to the footprints of Gulf petrodollars, Pakistan, the Chechen jihadist menace and the terrorist ratlines emanating within NATO Turkey.